The Hanged Man is among the 11 trumps from the 22 major arcana that symbolize the various stages of the human condition, with the Pope, the Papess, the Emperor, the Empress, the Mountebank, the Fool, the Devil, the Unnamed, the Lovers, and the Hermit. Drawing the tarot trump of the Hanged Man is not a sign of an easy life or pleasant events. The Hanged Man is often associated with Judas Iscariot, a symbol of someone burdened with a difficult and heartbreaking task of requiring huge thankless sacrifices while most people stay blind to their depth and meaning. 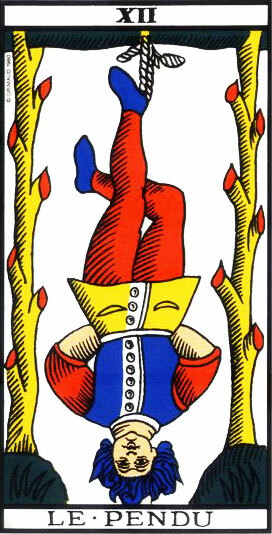 The Hanged Man can complicate your projects because it is a symbol of a time of passivity, inaction, lack of courage and energy, and great pains to fulfill your dreams due to the great inertia centered on the person who drew that Arcanum. This tarot arcanum can often forecast mental abdication, resignation, or discouragement. 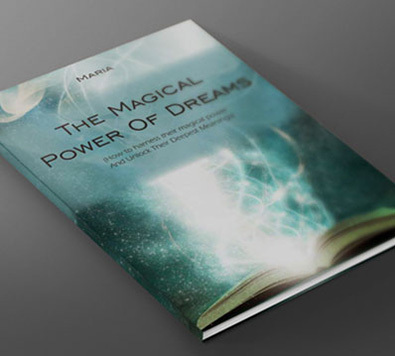 It is giving up on your dreams and desires, and can often signal the failure of current or future projects or undertakings. The tarot card is extremely negative in every domain; money, work, love… Anyone affected is submissive once they have stopped to even try. They are paralyzed in their actions by a power they cannot fathom. They move from one failure to the next, from one breaking point to the next. This is a vicious circle that is hard to get out of, because they are suffering from a loss of psychic vitality. Anyone drawing the Hanged Man seems lost in a maze when weakness works against any way out. Thankfully, they still have enough intellectual resources to be aware of that situation and try to navigate against the current to various degrees of success. The Hanged Man Arcanum is a symbol of a lack of confidence. It forecasts a time of paralysis that can only be overcome through a lot of soul searching. Drawing that trump can herald some upcoming betrayal, a sacrifice that must be made, or standing at a dead end. That Arcanum often leads to material loss.